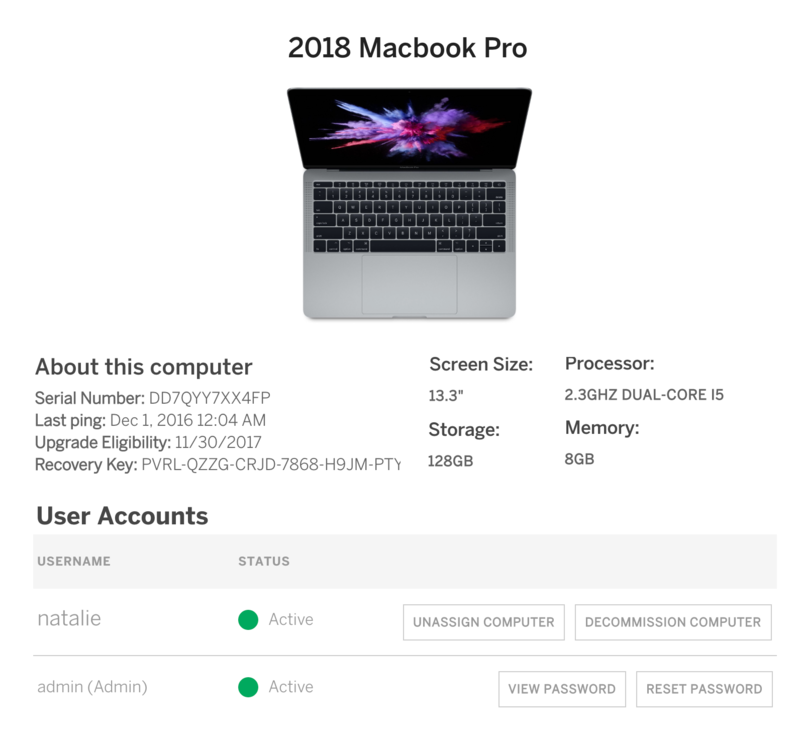 Tired of the hassle of setting up Macs and PCs, wiping and reconfiguring them when someone leaves, setting up and deactivating accounts, resetting passwords, pushing software patches, and all the other manual tasks that fall in your lap? Rippling lets you do it all in one place, with just a few clicks. Better? We thought so. Hard Drive encryption on employee computers? 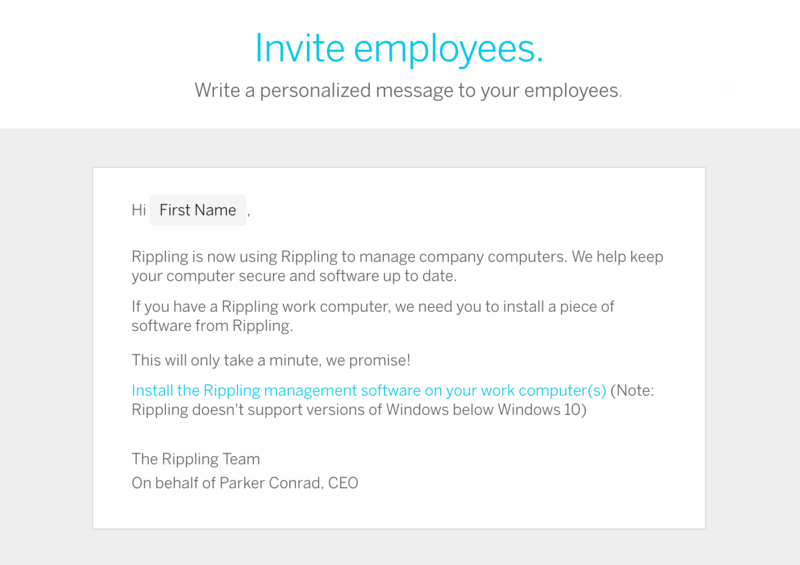 Should Rippling require employees to set up a password on their work computer? What&apos;s the minimum password length you&apos;d like to enforce? Should Rippling require that passwords require at least one letter and one number? Which employees should get Microsoft Excel 2016? 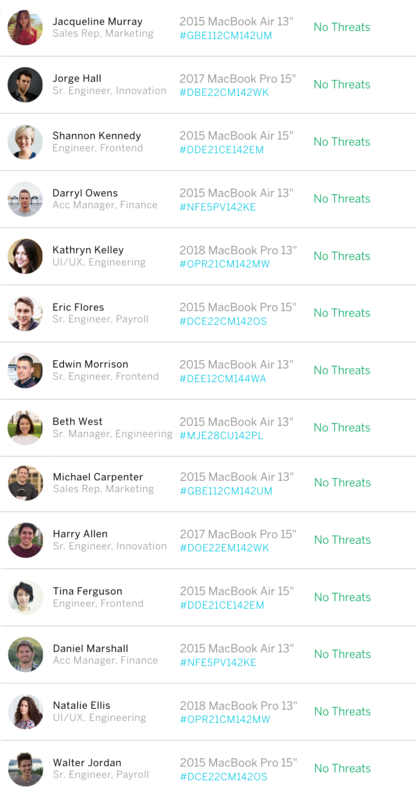 Which employees should get Sketch? Which employees should get GSuite? Which employees should get Salesforce? 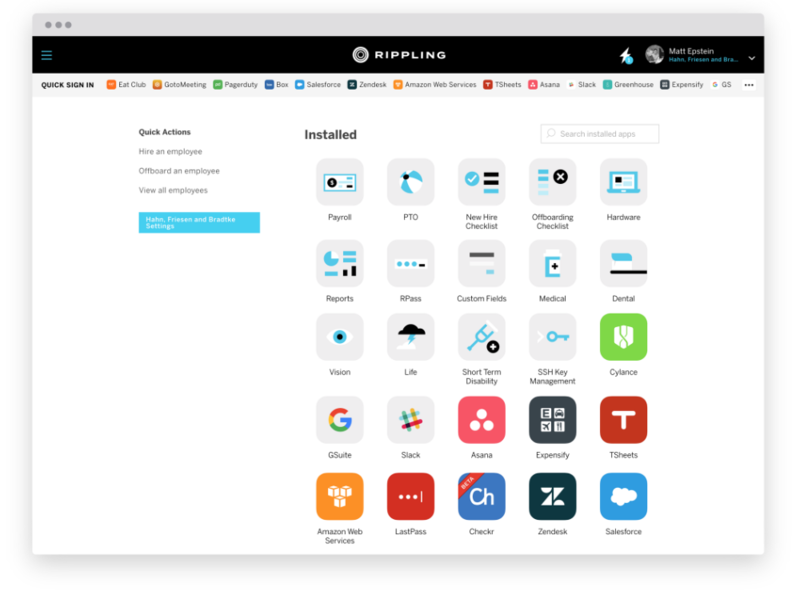 Rippling is the underlying employee data system that feeds all your IT services—from provisioning apps, to enforcing security policies, to managing Macs and PCs together in one system.